The proposed development of the field on Ankerbold Road has become a topic for discussion again following revised plans being submitted. Firstly, I will lay out my position unequivocally. Where housing is both affordable and sustainable I will support it. The truth is that the proposed Ankerbold Road development is neither. I have seen NEDDC and members and supporters of the controlling Labour group suggest that the proposed development is to provide adequate housing for our children and grandchildren. I genuinely wish that was true – but these are not starter homes. The plans are available online for anyone to verify the truth. Of the proposed 197 houses, 12 are designated as shared ownership (where people can buy the house in percentages, and pay rent on the rest of it – until they buy it outrightly) and 27 as affordable rental properties. The remainder are “Executive Homes” – intended to sell in the region of quarter-of-a-million pounds upwards. My biggest concern, however, is in relation to sustainability. It is vital for both current and future residents that adequate infrastructure is in place ahead of any large scale development. According to the Office of National Statistics, the average family these days has 1.76 children. Based on 197 homes that would require an additional 347 school places between Tupton Primary and Tupton Hall. Using those same statistics, the development would see around 740 people moving into the village requiring access to NHS services. One of the biggest complaints I receive currently is in regard to people not being able to get GP appointments now. So that issue would also need to be addressed as a priority. 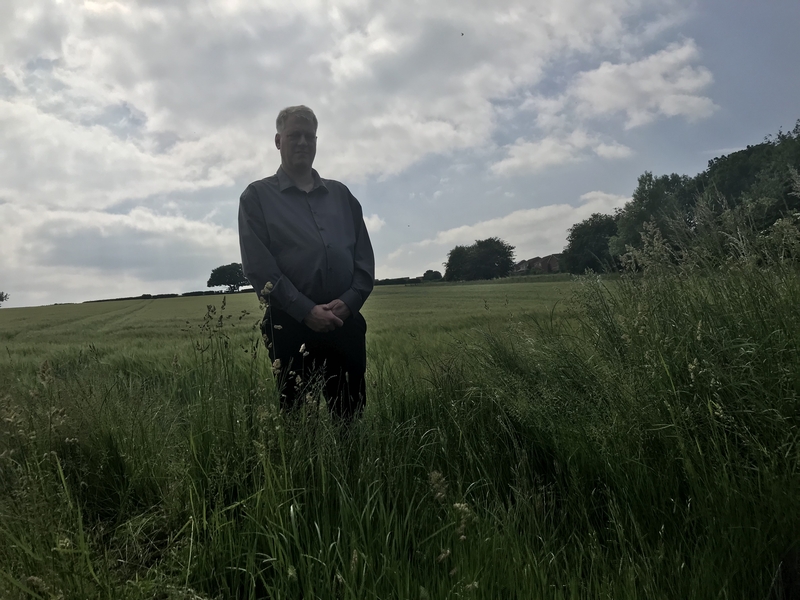 Compounding these issues, there are almost 5000 houses proposed within 2 miles of Tupton in Labour’s local plan and already approved speculative developments. This is unfortunately information not many people are aware of; and will naturally have significant impacts on our schools, GP services and roads. Only this week, we’ve seen at various points around the village how inadequate our surface drainage has been. So again, we need that upgrading in order to accommodate existing needs let alone any significant increase in requirement. Finally, uniquely to the Ankerbold site, I have concerns regarding the access and proposed junctions to the development, which I feel aren’t safe. For those reasons, I have submitted a further objection to the development. Again, I absolutely agree that we need homes for our children and grandchildren. I don’t think anyone would dispute that. However, they need to be affordable and they need to ensure that both existing AND new residents have sufficient and easy access to basic vital services like education, health and transport. Without addressing those issues we are failing the whole community and I am not prepared to do that.